"www.atour.com is beautiful and informative. It is the best website I have ever seen... by far." 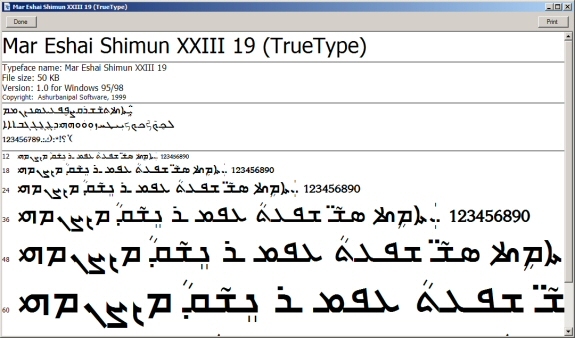 Posted: Sunday, March 21, 1999 at 07:21 AM UT | Updated: August 23, 2015. These Aramaic (Syriac) fonts are stored within the Assyrian Information Management (AIM) academic repository server to help preserve and promote the Aramaic language. 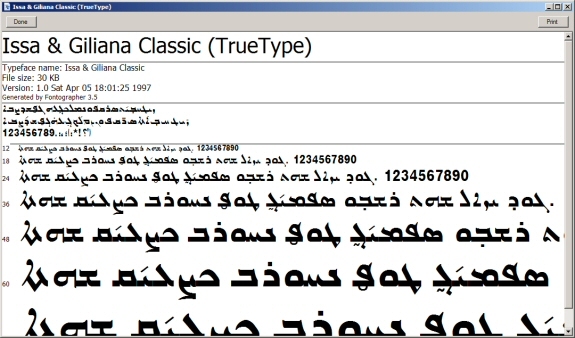 The Estrangelo font is an open source font and can be used for personal or commercial purposes for the preservation and advancement of the Aramaic [Syriac] language. 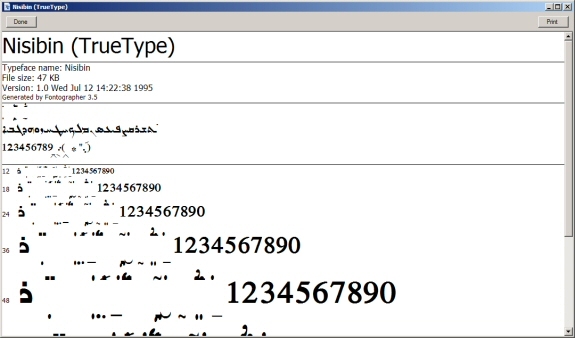 The remaining fonts were contributed to this section by the type designers/typographers for preservation purposes only and can be used only for personal use. 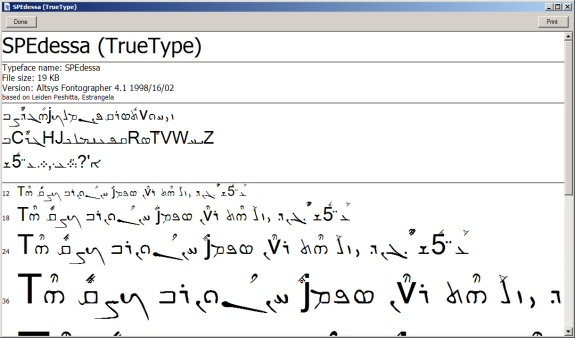 AIM is hosting and developing these website projects. 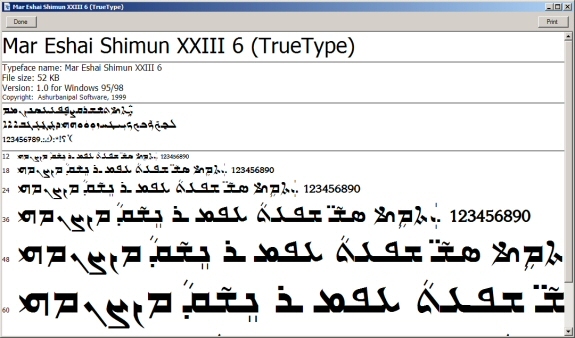 Please visit the information section to learn more about this website. NOTE: The fonts are provided “as is”, without warranty of any kind, express or implied, including but not limited to any warranties of merchantability, fitness for a particular purpose and noninfringement of copyright, patent, trademark, or other right. 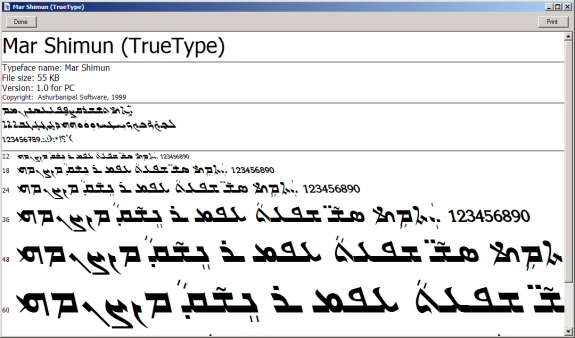 Additionally, in no event shall Assyrian Information Management be liable for any claim, damages or other liability, including any general, special, indirect, incidential, or consequential damages, whether in an action of contract, tort, or otherwise, arising from, out of the use or inability to use the fonts. 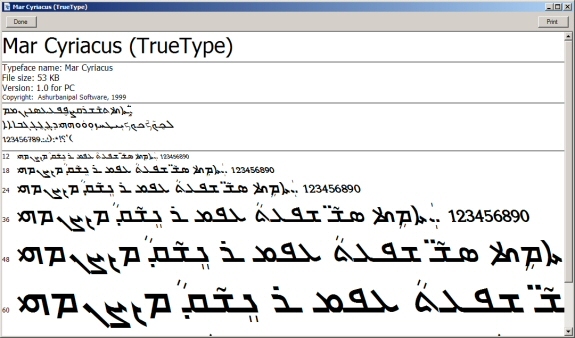 Estrangelo (V1.1) (TrueType) — The official font used at Assyrian Information Management (AIM) and various sections of www.atour.com, such as the Aramaic Lexicon and Concordance (online dictionary). 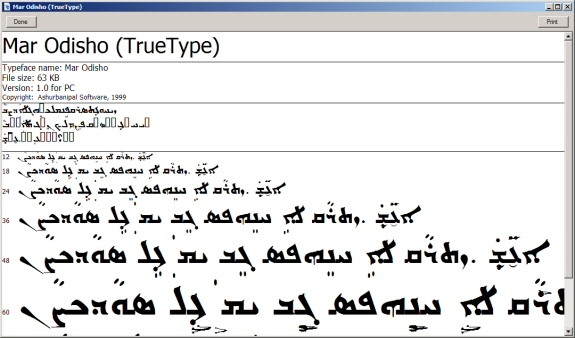 The Estrangelo font is an open source font and can be used for personal or commercial purposes for the preservation and advancement of the Aramaic [Syriac] language. 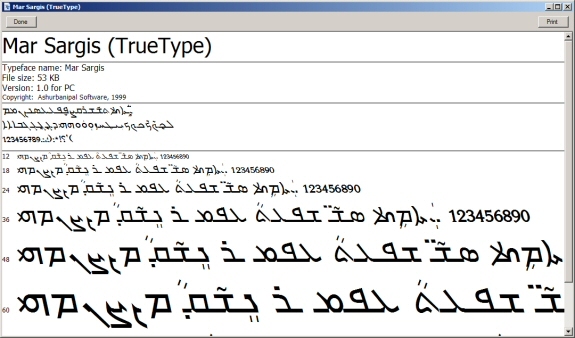 Unfortunately, the development of the Estrangelo font predated the standardization process to the Unicode Standard of UTF-8. 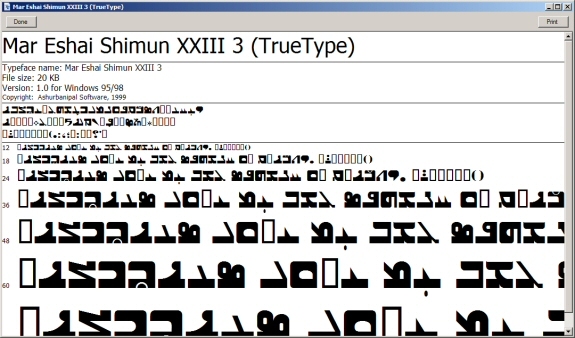 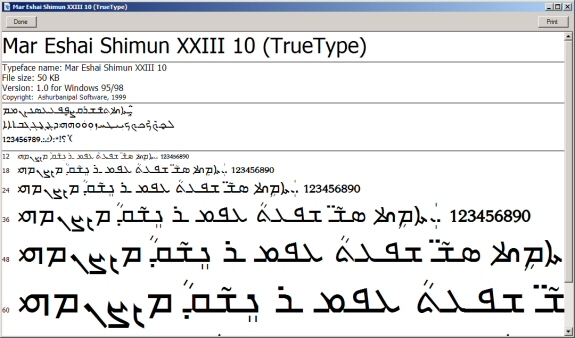 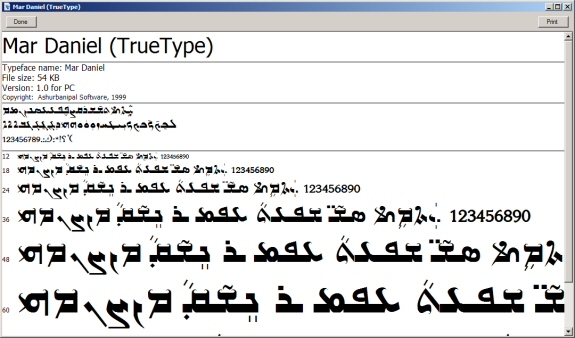 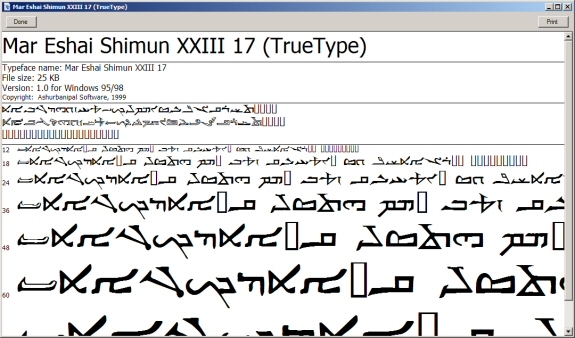 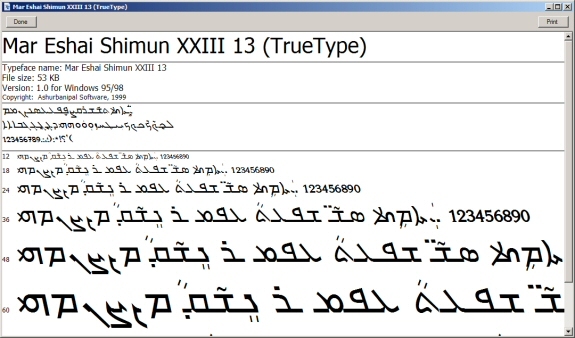 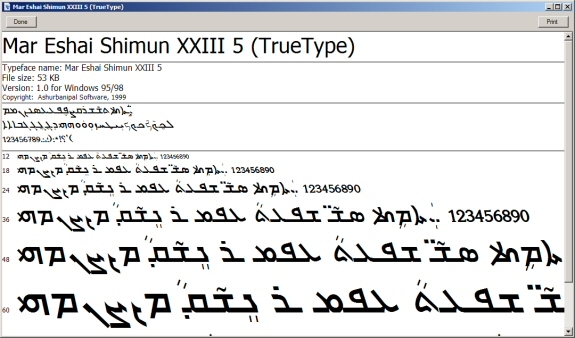 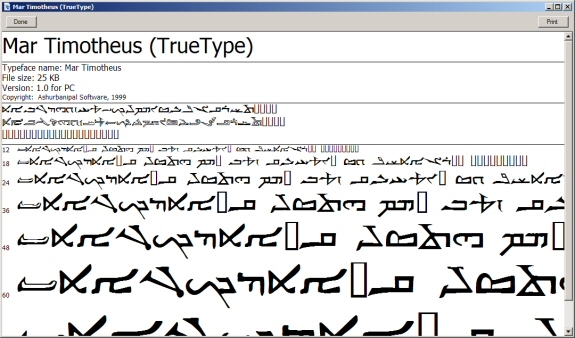 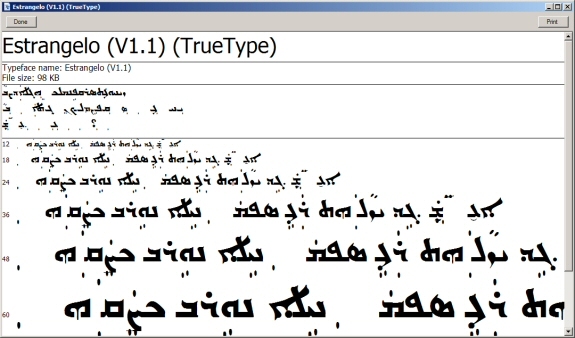 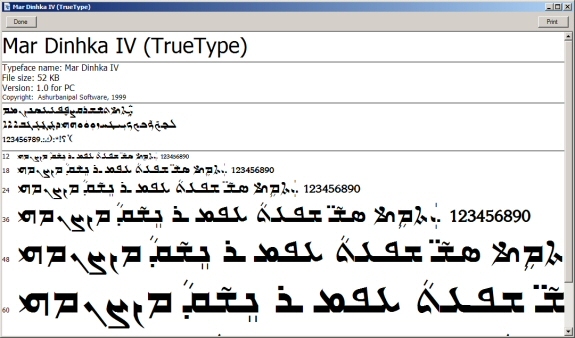 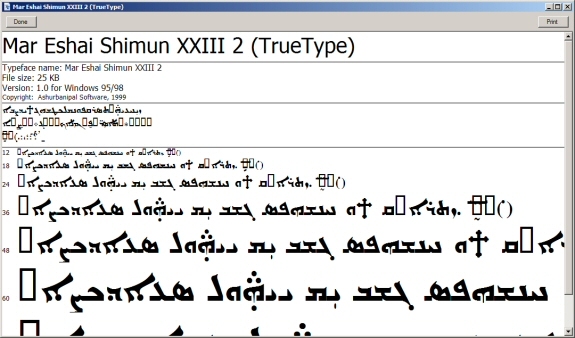 However, the font is beautifully rendered and can be used in optical character recognition (OCR) projects of ancient and contemporary Aramaic texts. 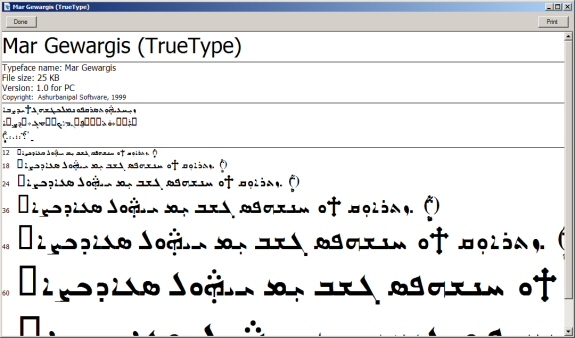 Meltho fonts by Beth Mardutho: The Syriac Institute. search the online Aramaic Lexicon and Concordance, the dictionary of our language using English or Aramaic words including many other options. 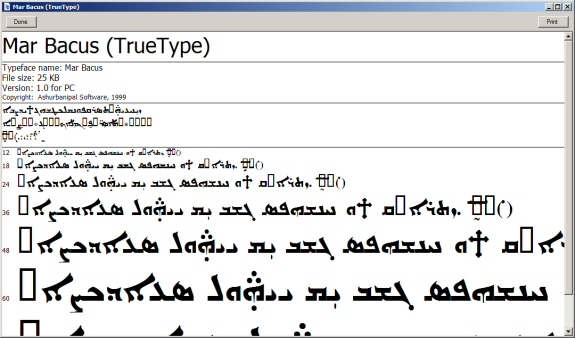 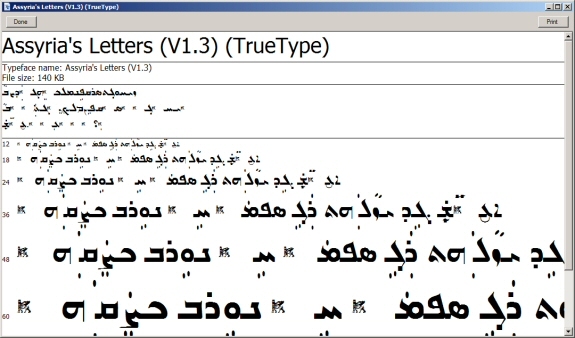 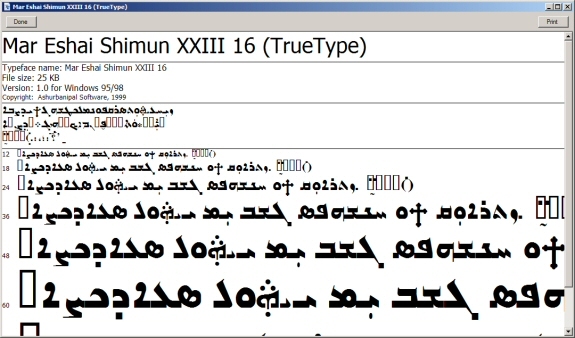 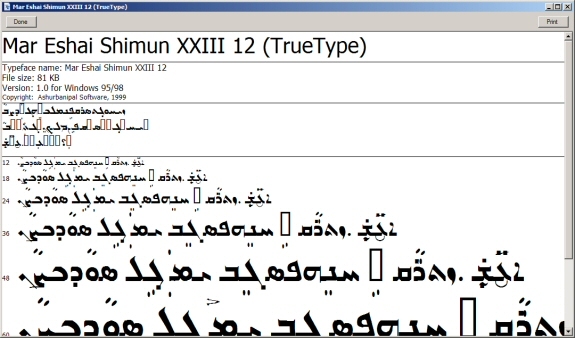 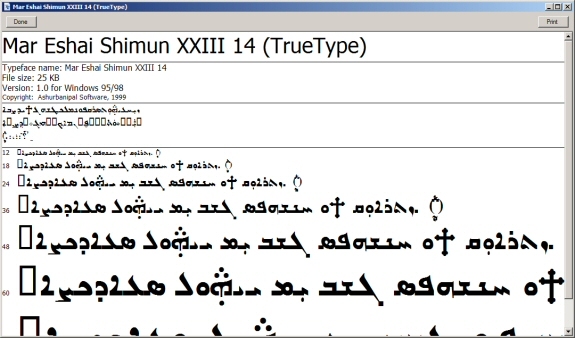 To properly view the Aramaic (Syriac) font on your computer screen, please download and install the Estrangelo font. 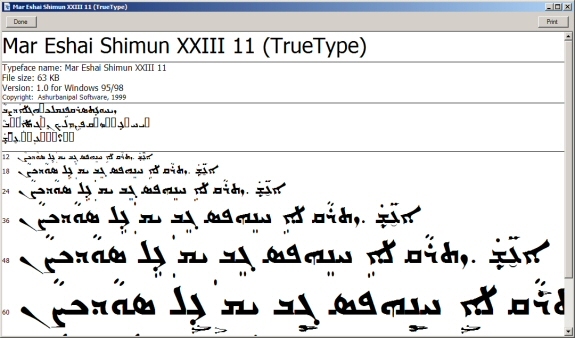 Beth Mardutho: The Syriac Institute - seeks to promote the study and preservation of the Syriac heritage and language, and to facilitate opportunities for people to pursue the study of this ancient legacy globally.